To celebrate our 7th wedding anniversary, we decided to spend a fancy weekend in Victoria. We did the whole trip without a car. 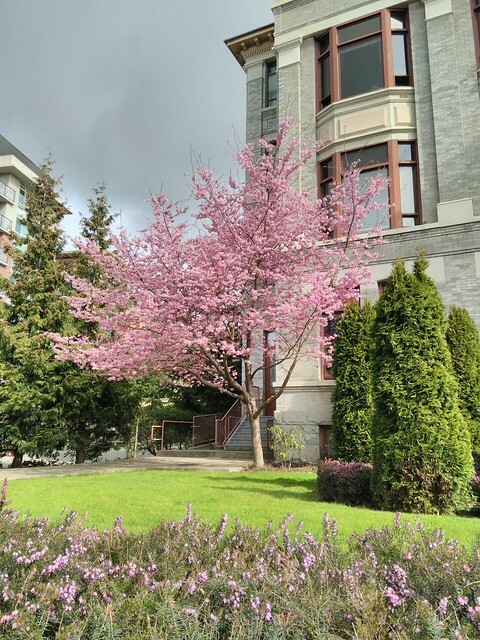 It’s pretty easy to take public transit to the ferry terminals, and once we were in Victoria almost everything was walking distance from our hotel. 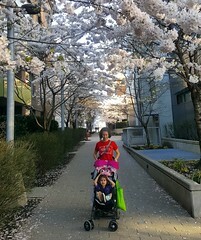 We were lucky to have a beautiful spring weekend, with only a sprinkle of rain and the cherry blossoms were in bloom. 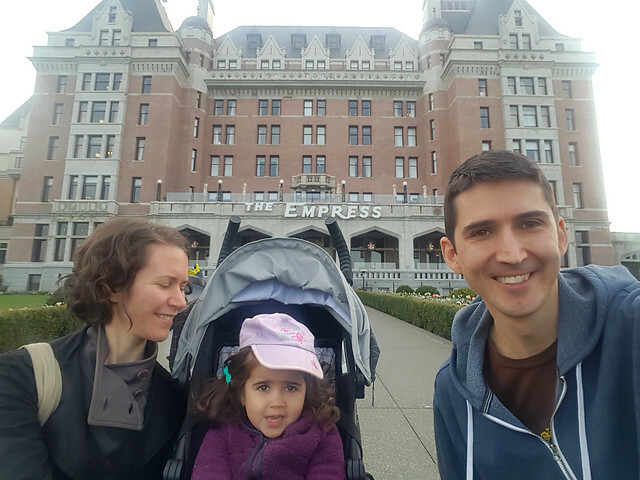 We stayed at the luxurious Empress hotel, originally constructed by Canadian Pacific in 1908. 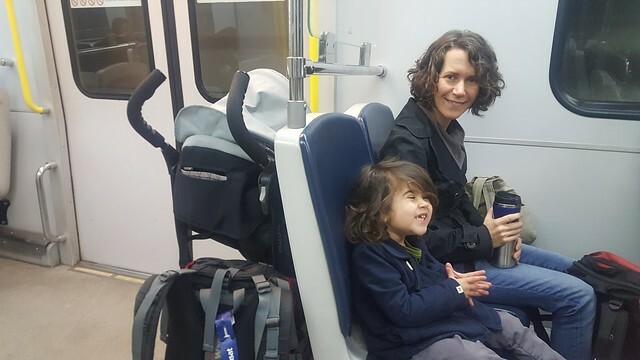 We were a little out of place arriving by public transit with backpacks on, while the other guests used the valet service for their Ferraris and Teslas. 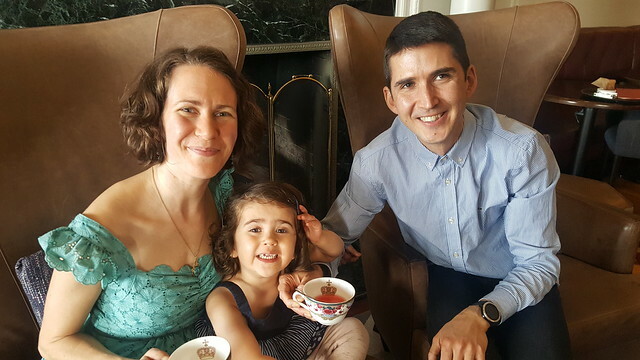 We might not have arrived in a sports car, but we brought fancy clothes so we could enjoy afternoon tea in the Lobby Lounge. They had no problems preparing an all-vegan tea for us (we gave them notice when we reserved our seating), with scones, jam, crustless sandwiches, chocolates, and passion fruit custard. Astrid even enjoyed it. 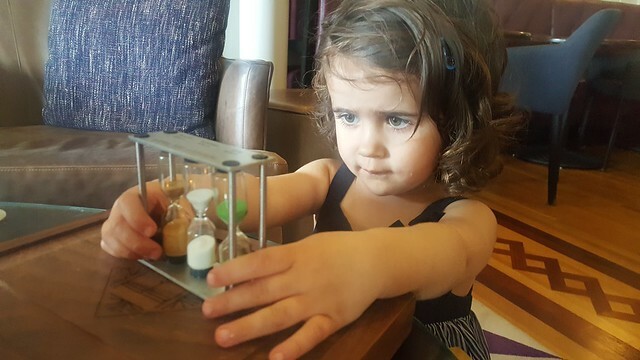 She managed to stay amused for over an hour by playing with the tea timer, reading the tea options, drinking tea with a spoon, stealing berries off the desserts, running around our seating area, and visiting the powder room. 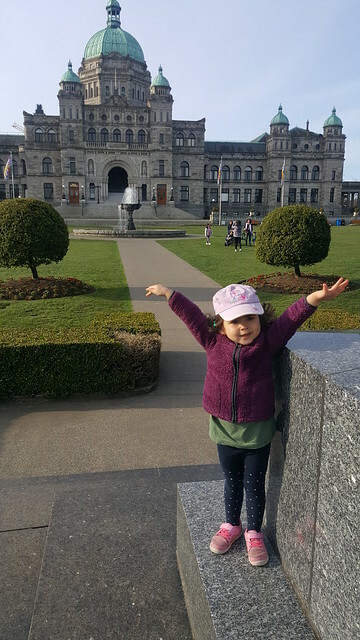 Most of our time in Victoria was spent catching up with friends. 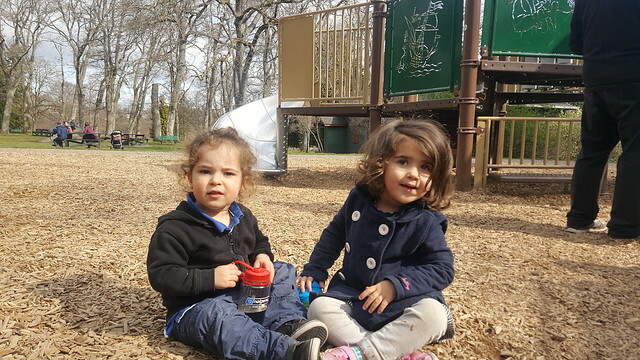 Astrid had successful playdates with Arby, Lyla, and Cleo. 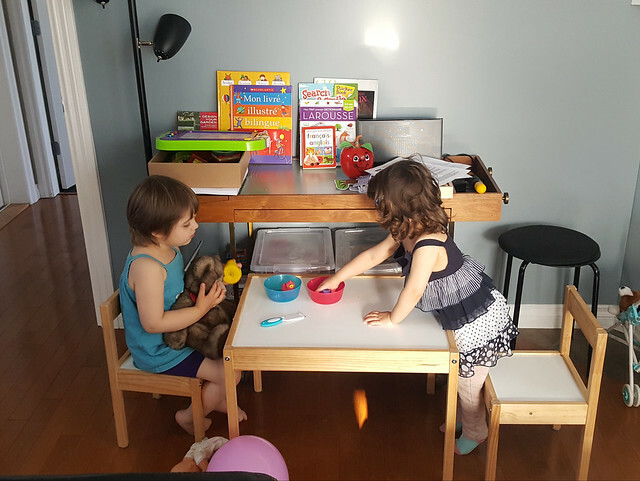 Our friends Katie and ilan even took Astrid home for lunch so Emily and I could go out for a nice lunch by ourselves. We hit up all of our favourite vegan/vegetarian restaurants in Victoria: Be Love, Rebar, and Very Good Butchers. It was a really successful weekend mostly because Astrid slept well. She had no problems sleeping in a double bed on her own in the hotel. 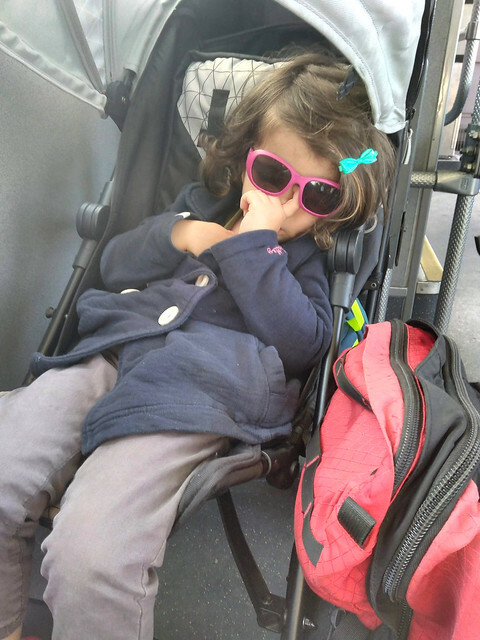 And she napped on the go – sleeping on bus and ferry rides while we travelled, and in her stroller on Saturday while we walked around Victoria. 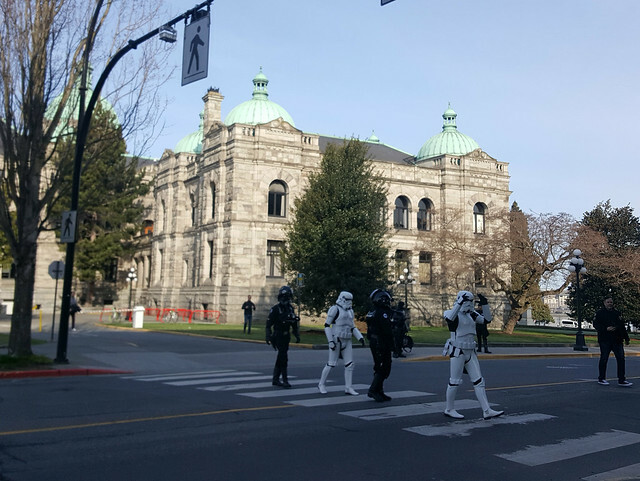 Amusingly, we happened to be in Victoria while the Capital City Comic Con was going on at the convention centre connected to our hotel, so there was always someone in a costume walking by.